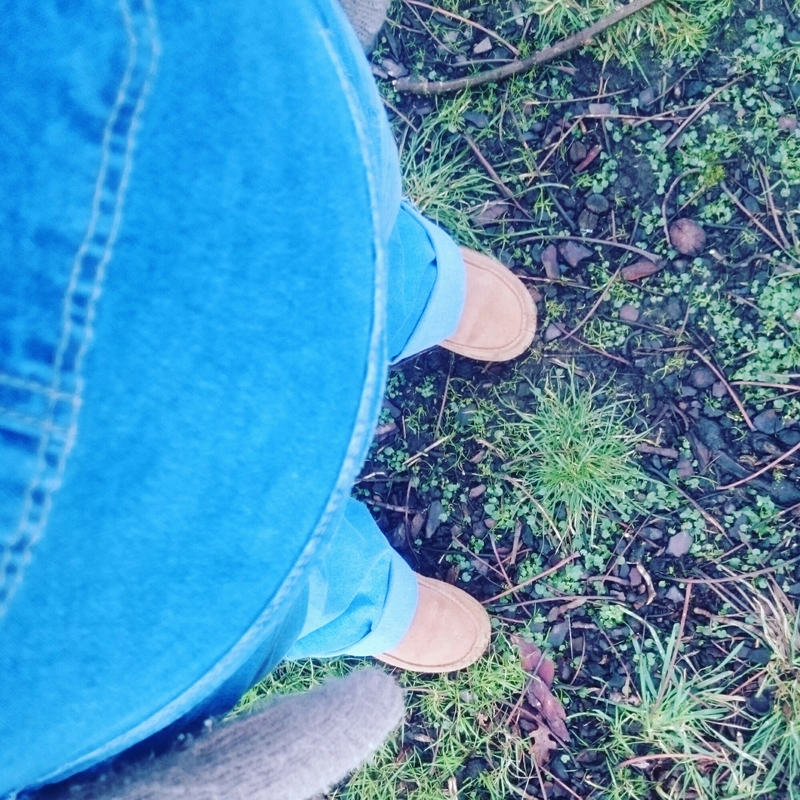 I’ve not bought a lot of clothes this pregnancy as I’ve made do with my old maternity clothes from the bear and a few eBay bargains but I really really wanted some dungarees for some reason. Maybe because as a bigger girl anyway, I wouldn’t care that I looked like Dr Robotnik as there’d at least be a obviously reason for the next few months! Anyway…. 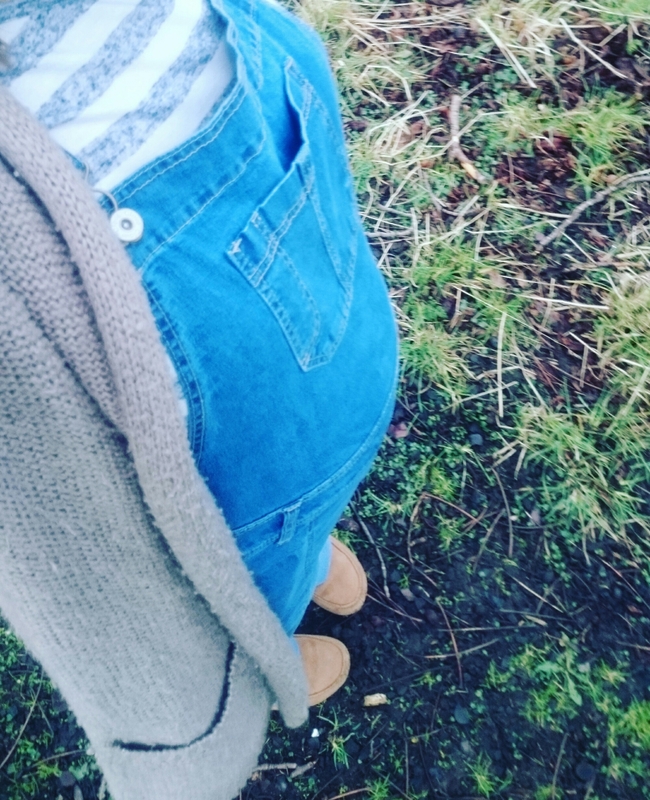 I ordered these dungarees from Amazon and oh my days, I love love love them!! They’re on the big size but I wanted that as I want plenty of room to grow!! I would suggest getting a size down for a better fit if people preferred. It’s the only thing I’ve brought new so far but I couldn’t resist them, especially as I’m finding it hard to find something comfy across my section scar as it’s itching like mad!! They are so comfortable though, the question is can I get away with wearing these and nothing else for the next 4.5 months?! I was not paid for or recieved any goods for this review and the opinions are purely my own. So we had a wedding this weekend and changing bag plus pretty dress just doesn’t cut it. However 10 month old baby without changing bag just isn’t going to happen! Therefore I wanted a bag big enough to fit the bears life for a whole day in while still being somewhat pretty. 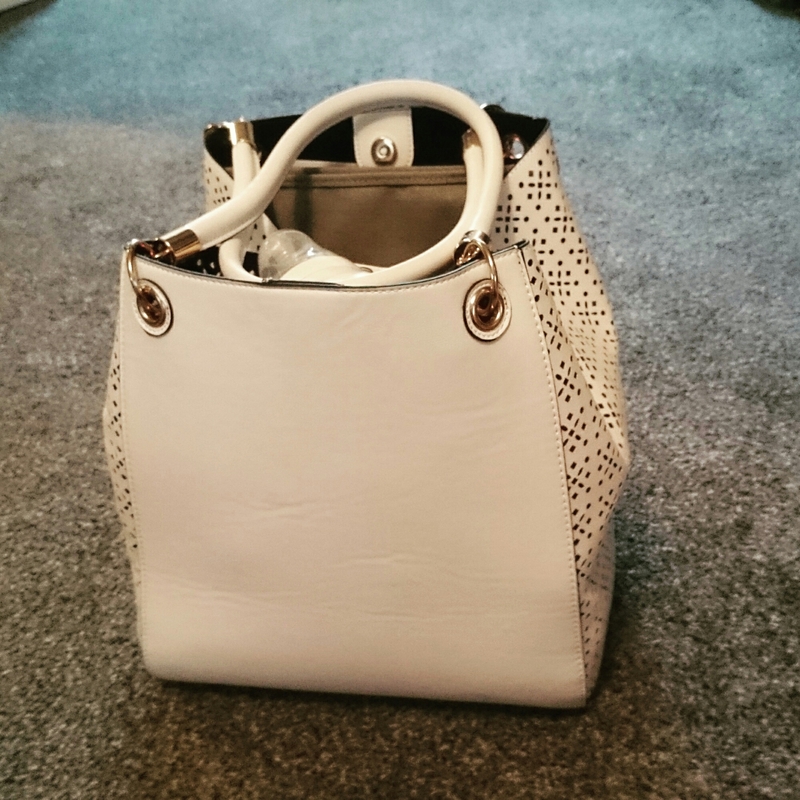 After a quick dash around Cheshire Oaks (outlet village….amazing!!) after work on Friday – yep, I didn’t particularly plan this well! – I came across this little beauty in New Look. Nappies for the day (disposable for ease) plus wipes, cream and bags. Food for the day: 2x mains, 2x puddings and snacks. 2x bibs and 2x dribble bibs. 3pm bottle & bedtime bottle. Sleepsuit for bedtime (we fed and changed the bear there ready for bed so she could sleep the whole way home). Toys. Lots and lots of little toys! I was so impressed it all fitted in with ease!! If any of you mama’s are looking for a baby friendly day bag, I couldn’t recommend it enough. Now I waited before posting this as I wanted to give a review of the items and let you know the things to not bother packing but to be honest we used it all. 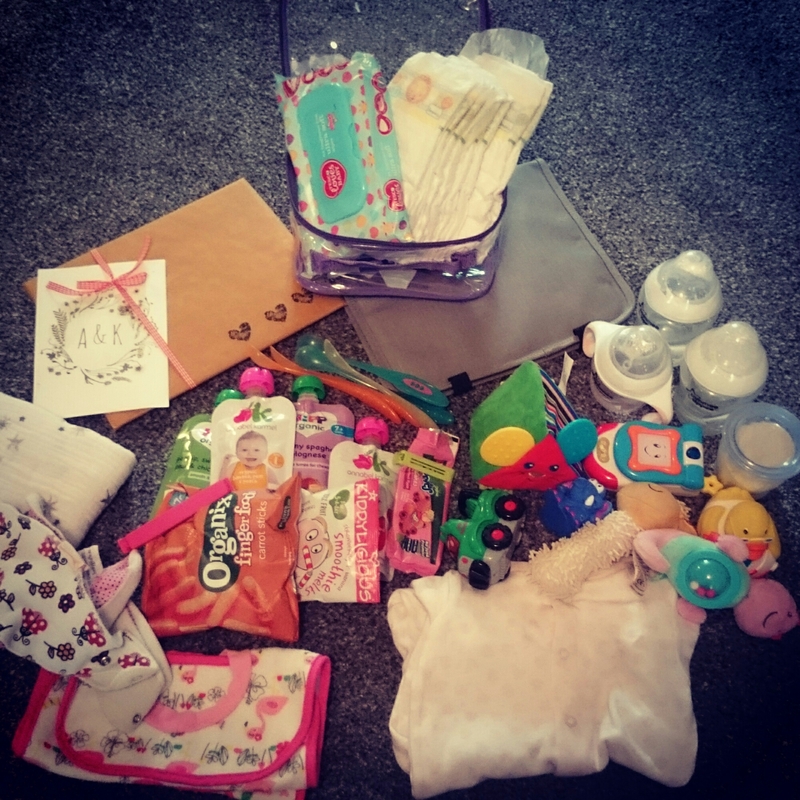 All food was eaten, bottles drink, clothes worn, nappies used abs gifts given ! And at least now I have my big event check list to work from! !